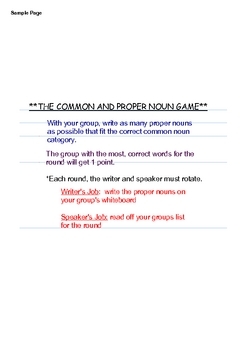 This SMARTboard presentation is a review game to use as you review common and proper nouns. Student use whiteboards to paper to respond to the categories displayed on the SMARTboard. This game may be played with teams, pairs, or individually.